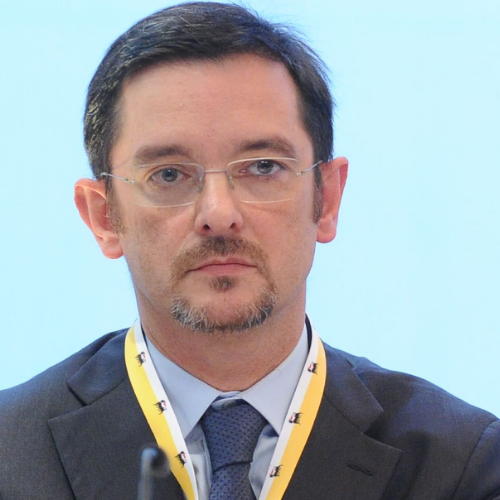 Roberto Casula is presently engaged in open innovation and corporate venture capital at Eni. He was born in Cagliari in 1962. After graduating in mining engineering, he joined Eni in 1988 as a reservoir engineer. He started working in Italian oil fields before moving to West Africa as Chief Development Engineer. In 1997, he returned to Milan as coordinator of business development for Africa and the Middle East. After being the headquarters’ Project Technical Services Manager, he became Middle East Project Director on a large scale gas project in 2001. From 2004 to 2005, Roberto Casula held a number of managerial positions in Eni E&P including the role of CEO of EniMed SpA before being appointed Managing Director of Eni in Libya in 2005. In July 2007, he became Senior Vice President of operational and business activities in sub-Saharan Africa, and in December 2011 he has been appointed as Executive Vice President of Eni E&P Division, thus extending his responsibilities to the whole of Africa and the Middle East, including the programme for the development of the Mamba and Coral discoveries in Mozambique. From June 2014 until September 2018 he has been Eni’s Chief Development, Operations & Technology Officer. Roberto Casula has also served as Chairman of the Board of Versalis SpA (chemicals) from January 2017 to April 2018 and as Chairman of Italian Petroleum and Mining Industry Association from May 2016 to April 2018. When I got graduated, in mining engineering, I had a number of job offers from a variety of Italian industries. However, my dream was to start working in a company able to offer me the possibility to work overseas. I always thought that being exposed to different cultures, contexts, counterparts, technical and non-technical issues would have been a way to grow in experience, skills and know how. What inspired you to get involved in the oil and gas business? Clearly, my technical background had an influence, but the scientific and technological challenges behind energy-related matters have always fascinated me. Tell us a little about executive compensation in the energy industry? Since the beginning, I have been used to being remunerated according to an objective-based system. Setting yearly goals or multiyear business plan goals pushed me to always exceed company expectations. I have to say that money has never been a major lever. When you meet objectives or exceed them, your self-esteem grows dramatically. That is the greatest reward. When you were starting out, was there ever a time you doubted you would be successful? If so, how did you handle that? No. I always had clear ideas about my future. My first success? Let me start by saying that I was in the right place at the right moment. Sometimes life puts you in front of an opportunity and you must catch it without hesitation. I had the possibility to be part of a very complex international negotiation because the appointed person could not make it, and my boss decided to propose me as a replacement for my colleague. Personally, it was a thrilling experience and it turned out very successful for me and for my company. The lesson learned here is that managing people is indeed vital: knowing who are your collaborators, their talent, their strengths is essential to eventually achieve objectives. For a young person, his first manager is likely to be the most influential in that person’s career. I keep remembering that in my career. What is one word you consider very important? Gratitude. Gratitude is sometimes neglected or underappreciated, but it is a fundamental value when you are managing people in an organization or more simply in your daily life. I think that by saying “thank you” to another person we are able to convey to him firstly a positive interpersonal feeling and secondly a genuine appreciation for something that has been received or achieved. We definitely need more Gratitude in our world. Every time I successfully conclude a project or a negotiation with a new counterpart in a new area of the world.